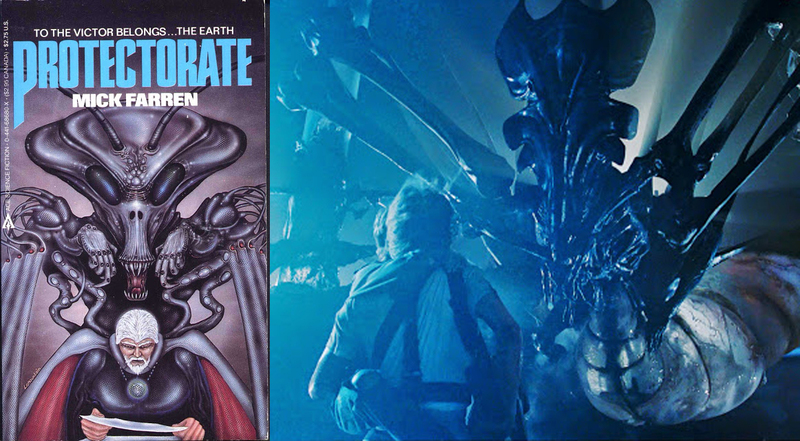 Alien Explorations: Aliens: Alien Queen design inspired by cover art by Dan LaMountain for "Protectorate" (1985)? by Dan LaMountain for "Protectorate" (1985)? 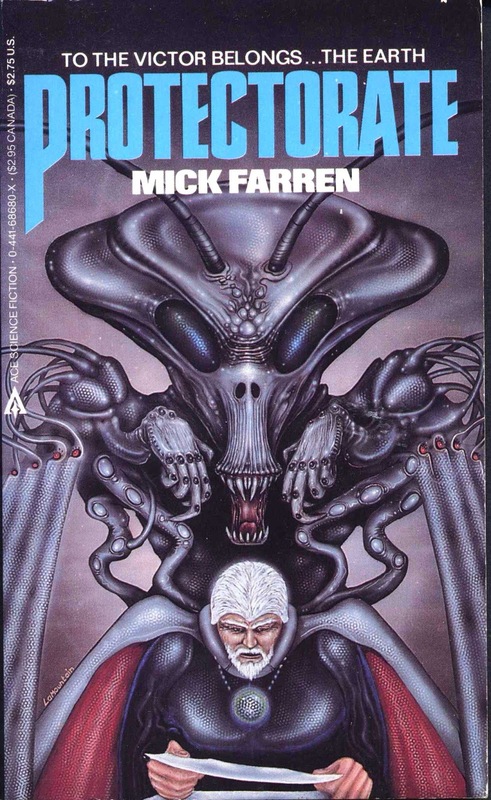 September 1st 2016, I suddenly discover the cover of "Protectorate" by Mick Farren published in January 1985, and realise that it resembles the design of the Alien Queen with its skull that widens at the back. 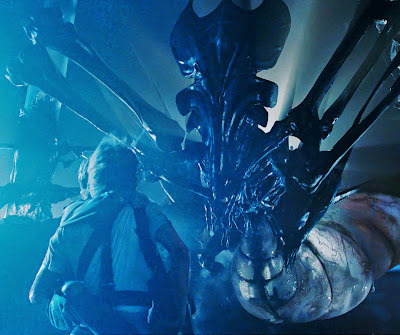 The creature is loosely inspired by Giger's art and his Alien beast and the idea of an insect head. the cover art is by Dan LaMountain.